AB Care & Rehabilitation Hospital is a private hospital registered under the office of company register in the Ministry of Industry of Nepal Government and approved from the department of Health Ministry. It is a specialized Hospital of Physiotherapy and Occupational Therapy with total Rehabilitation approach. 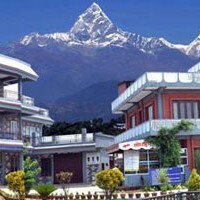 It was established in 2007, in the Chairmanship of Dr. Anil Babu Parajuli, PT and is the first hospital of its kind in the whole western region of Nepal with the mission to add new dimension of treatment method in medical field for human well-being and to improve the quality of life of people with disease and disability, education and serving to the nation. AB care attracts the people by its beautiful location, its advance infrastructure with latest technology on rehabilitation whose standards match with those of any world class hospital of its kind. They are equipped with the finest resources of medical sciences and they emphasis on Relief, Reassurance, Recovery and Rehabilitation. They desire that “their hospital should be like a Temple and people must get that feeling when they enter it.” A scrupulously clean and homely ambience is provided. There is always service with a smile.